More than any other structure in Mexico, the hacienda symbolizes Mexico s colonial past and all that it represents. Arched doorways and brilliantly colored tiles combine with stunning gardens to re-create a bygone era. 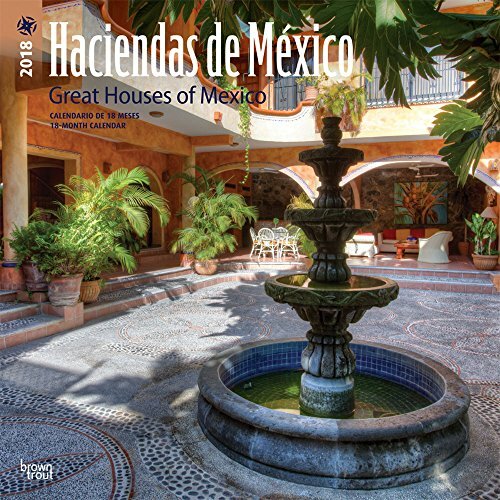 The Mexican colonial home is brought to life in this Haciendas de México wall calendar. This Spanish-language square wall calendar features month names, day names, holidays, and photo captions in Spanish and English. It also includes holidays observed in Mexico and Puerto Rico.